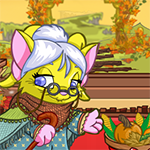 I write this article as someone who spent her entire Neopets career not understanding the point of malls; wondering who in their right mind would purchase from said “overpriced” malls. I also write this article as someone who joined a mall a month ago because my guild was revamping their mall and I was curious what all the hype was about. This is my outsider’s take on what it’s like to be in a mall. Before I begin, we’ll go over some basics: what exactly is a mall? It is a community of users that join up and take various categories. Examples of typical mall categories include books, toys, collectibles, stamps, food, grooming, plushies, training/weapons, wearables, and Neohome/Neogarden. Of course, malls can expand from these categories, but these are the most generic that you will see in every mall. Their shops are typically “linked” together by a layout and graphic. You can click on the graphic and it will take you to the various stores that are a part of the mall. The next question you might have is why anyone would buy from a mall? From my observations, so long as you are not outrageously priced, people will find your shop with the shop wizard and see that your prices are in line with other users. They may also find a mall convenient to buy in. I’ll have the same user buy 5+ items from me simply because I have them all in stock and it saves them time; they don’t have to search 5 different items with the shop wizard if they stumble across my shop. Day one of joining the mall, I immediately questioned my decision. I had selected the stamp category which I knew was going to cost me hundreds of thousands to build up my inventory. It should be noted the requirements for the mall I am a part of is 160 unique items. So day one I am sitting here wondering how I will be able to restock 160 profitable stamps. Then I realized, I had premium and I could also browse through user shops using the super shop wizard to find good deals on stamps. To be honest, most of my initial inventory was purchased from user shops. I told myself even a small 100-200 np profit was a profit. It was more important to get everything set up before I started heavily restocking from the stamp shop. To this day, I still do most of my purchasing from user shops. I’m far too slow to restock many of the great stamps from the Post Office. Half price day is really the only time I’ll camp out in the post office all day. Don’t get me wrong, there are definitely stamps I buy from the Post Office, but I purchase at least 80% of my inventory from user shops. My initial pricing strategy was to be in the top 10 on the SSW. Most other people in my guild’s mall price at a certain percentage above the SSW. I thought I was going to have to change my philosophy, but one month in and I still price within the top 10. Unfortunately, prices fluctuate, so after a week or so some of my prices are outdated and out of the top 10. For the most part, I do not change these prices. Unless an item just simply won’t sell for weeks on end, I leave the prices as is. As items sell out and I replenish them, I take that chance to reevaluate my pricing. With stamps, I do not find myself selling out like crazy. The only time my shop has dipped below the 160 unique item requirement is when I was out of town for a week. My philosophy is to replenish my stock daily. Some days this means restocking 10 stamps, other days it means restocking 30 or more. I do believe if I had taken a different category like grooming or toys, I would have had to price at a percentage above the shop wiz, since those items are popular quest items, whereas stamps are just put into albums by collectors. To my surprise, within a few weeks, my shop was profitable. I had made back my initial investment and then some. Since my mall experiment hadn’t been a complete bust, I decided to invest more Neopoints into expanding my shop to size 100. This way I would be able to stock 500 total items. My end goal with this expansion is to stock 250 unique stamps and have doubles of each. As I am writing this I am hovering around 230 with doubles. Investing in doubles was probably the best idea I have had. I save a lot of time when it comes to pricing because as I replenish my stock, I already have stamps in stock that are priced. On a typical day, I usually priced anywhere between one and five stamps, whereas before I was pricing up to 30 a day, depending on the number of stamps I sold. I am making a profit. In my opinion, I am not over priced. While some malls may be overpriced, I believe that is just a stereotype I created in my head a long time ago. I am not the cheapest shop, but by no means am I the most expensive. People come to my shop by finding it on the super shop wizard. People also find it through the shop wizard. I hope anyone with doubts about purchasing from a mall reconsiders. They are not all bad! (Unless you’re a kadder who ends up in a mall with a mile of banner that you have to scroll through ). I am thoroughly impressed with how well my mall experience has gone. I have no plans of quitting now, and would encourage you all to look into joining a mall! If you’re interested in joining a mall, here is my parting advice for you. 1. Pick a category you are interested in. Don’t join for the sake of joining. If you don’t enjoy your category, you’ll lose interest. I can’t imagine myself with anything other than stamps. 2. It you are not great at restocking, that is OK. You can still make a profit by purchasing from user shops. While sometimes you’re only making a few hundred np, other times you can make thousands. 3. Don’t be afraid of small profits. 100-200np can quickly add up. 4. Create a spreadsheet to keep track of everything you stock. Trust me, it will save you lots of time as you’re trying to figure out what on earth was just purchased. 5. Follow your gut when it comes to pricing. Don’t price 40% above the super shop wizard just because everyone else is. Sometimes it ok to price within the top ten.